Whether you prefer the lap of luxury or the simple life, the Cayman Islands has an unparalleled selection of world class Cayman accommodations to complete your Caribbean vacation experience. From Caribbean luxury resorts to romantic properties that really make you feel you’re on an island getaway, the Cayman Islands has it all. Traveling to the destination is especially convenient for U.S. travelers with several nonstop flights available via various airline carriers including American Airlines, Cayman Airways, Delta, JetBlue, Southwest and United.  Featured U.S. cities with direct service to Grand Cayman include: Atlanta, Boston, Charlotte, Chicago, Dallas, Detroit, Fort Lauderdale, Houston, Miami, Minneapolis, New York, Newark, Philadelphia, Tampa, and Washington, D.C.